SYNYO GmbH is an independent social research and innovation hub that investigates and develops novel technologies to tackle business and societal challenges. SYNYO analyses the impact of emerging technologies on societies and works on creating a better understanding of social, cultural, economic and political dynamics. As knowledge on social phenomena is an indispensable prerequisite for identifying future societal needs and technological demands, SYNYO has a strong emphasis on social science research. Profound insights with societal relevance are considered as being necessary for creating more inclusive, reflective and sustainable societies. SYNYO attaches great importance to interdisciplinary and mixed-methods approaches. Therefore, the team combines researchers from the fields such as sociology, media studies, spatial planning and computer science. 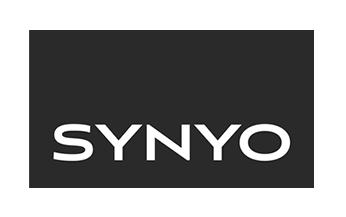 SYNYO also develops collaborative systems operated by large end users groups and creates modern graphical interfaces or awareness channels. Security and a lean management serve as the baselines for such solutions. Due to its European projects, SYNYO has furthermore access to a broad network of academic institutions, technology providers and industry partners. As leader of WP1, SYNYO is responsible for the overall project coordination and as the consortium leader it will be the official contact to the European Commission, will monitor and coordinate the project participants and stimulate dialogue and exchange throughout the project. Furthermore, SYNYO will lead WP6 for developing the TAKEDOWN Solutions Platform. The Euro-Arab Foundation for Higher Studies is a public institution with a unique composition and mission. Located in Granada (Spain) and ruled by a joint Board of Trustees chaired by the Secretary General for Universities. The Board of Trustees is further composed by two representatives from the University of Granada, two from the Ministry of Education and from the Government of Andalusia. 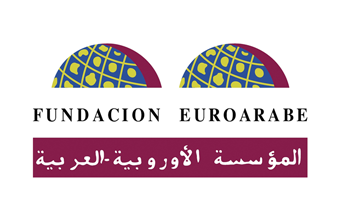 The Euro-Arab Foundation works within the fields of cooperation, training and research. FUNDEA aims to create a space for dialogue and cooperation between the countries of the European Union and Arab countries. The Foundation was entrusted with promoting cultural, scientific and economic relations between Europe and the Arab World, throughout the spread of scientific and humanistic knowledge produced in universities and other centres for scientific research or artistic creation, either national or international, in order to contribute to the reinforcement of the dialogue between Arab States and European States. For that purpose, the Foundation’s work is focused on the promotion of studies and research as well as platforms and forums of discussion and debate. By means of collaboration agreements, the Foundation maintains relations with educational, cultural, research and economic institutions in order to strengthen ties among countries in Europe and in the Arab World. FUNDEA will contribute to the research and in particular to the psychological perspective for the TAKEDOWN model. FUNDEA will be responsible for the European baseline report and as a further main task, FUNDEA will lead WP8 (Dissemination). 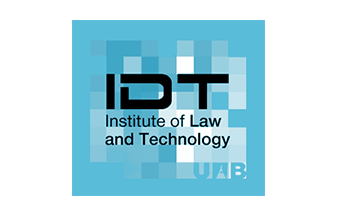 The UAB Institute of Law and Technology (IDT), housed at the Faculty of Law, is a research centre promoting cutting-edge research on Law and Technology from an interdisciplinary perspective (http://idt.uab.es). The IDT was created in 2005 and emerged out of the former UAB Socio-legal Studies Group (GRES). At present, the areas of research include Law and Artificial Intelligence, legal culture and judicial studies, alternative dispute resolution (ADR) and online dispute resolution (ODR), legal ontologies, the Semantic Web, Data Protection, Ethics and regulations for the Web of Data. The IDT-UAB will contribute to the research part and for the legal aspects in relation to the TAKEDOWN model development. Furthermore, the IDT-UAB will particularly be responsible for developing an Ethical, Privacy and Data Management Strategy for the project. 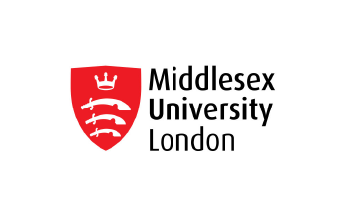 Middlesex is a thriving global university with an ambitious vision for the future. We teach 38,500 students on career-focused courses at our campuses in London, Dubai, Mauritius and Malta with prestigious academic partners and some 1,900 staff across the world. Our outstanding teaching, research and knowledge transfer make a real difference to people’s lives worldwide, while our foresighted approach to industry collaboration provides key advantages to our students, staff and business. The School of Law brings together a range of diverse subjects and develops multi-skilled professionals who strive for social justice. The research of Department of Criminology and Sociology engages with issues ranging from crime, policing and violence to digital technologies, feminism and popular culture. The department is involved in a wide range of partnerships, from Non-Government Organizations and local authorities to national and European agencies, where it provides research, consultancy and professional development support. The MU will contribute to the exploration of the scientific body of knowledge on OC and TN. Furthermore, it will conceptualize the quantitative survey on the needs of practitioners and will be responsible for the European TAKEDOWN Research Report as well as for the scientific dissemination of the project partners alike. The University of Leeds is one of the top ten universities for research and teaching in the UK and is internationally regarded as a centre of excellence in a wide range of academic and professional disciplines. The results of the 2014 UK Research Excellence Framework (REF) exercise identified 82.76 per cent of its research activity as being either ‘world leading’ or ‘internationally excellent’, while its overall results confirmed the University’s position as a leading member of the UK’s prestigious research intensive Russell Group. 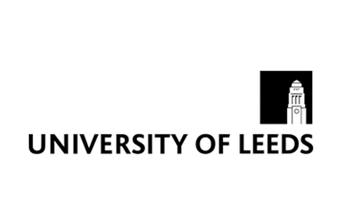 The University of Leeds School of Law enjoys a high reputation for research and significant experience in policy outreach and engagement both at national and international level. The Centre for Criminal Justice Studies, within the School of Law, has a longstanding reputation for high quality research into Cybersecurity, Cybercrime and Counter-Terrorism. The UNIVLEEDS will lead WP2. AS a WP-leader it will furthermore be responsible for the analysis of existing models on OC ant TN. It will also contribute to the empirical research as well as to the model development. 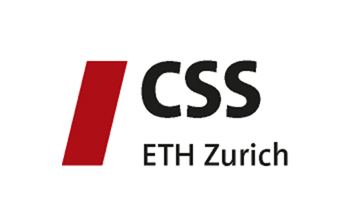 The Center for Security Studies (CSS) at ETH Zurich is a center of competence for Swiss and international security policy. The CSS combines research and policy consultancy and, as such, functions as a bridge between academia and practice. It trains highly qualified junior researchers and serves as a point of contact and information for the interested public. 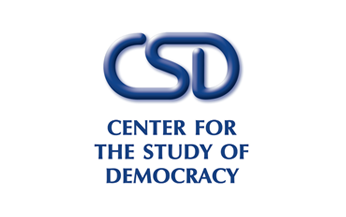 At the heart of the Center for Security Studies (CSS) research activities are key questions of contemporary security and strategy. Unlike traditional, pre-1989 security threats, most of today’s challenges do not respect national borders, nor do they easily respond to traditional state-centric security approaches. We are particularly interested in the changing landscape of threats that states and their societies face (with a main focus on the issues of (non-)proliferation, energy and supply security, cyber-security, and terrorism), the methodologies, concepts, and tools used to gain knowledge about these threats (with a main focus on risk assessment, horizon scanning, and the use of social media) and the way states organise themselves to confront these threats (internally, regionally, globally, with a particular focus on strategies, security institutions and regimes). The CSS will contribute to the research part and particularly to the mapping of the OC & TC digital solution ecosystem and describing existing public security services like helplines or reporting platforms. It will furthermore be involved in the empirical research by initializing expert interviews with researchers and context-aware policy makers at different levels on their requirements and obstacles. The Technion-Israel Institute of Technology is Israel’s primary technological university (with 600 faculty members) and the country’s largest center of basic and applied research. It is ranked among the leading technological universities in the world. The TECHNION has earned three Nobel prizes and has a worldwide reputation for its pioneering work in electronics, information technology, aerospace technologies, nano(bio)technology, materials engineering, etc. Within the faculty of industrial engineering and management, great emphasis is placed on multidisciplinary research, which is carried out both within the faculty, and in collaboration with other scientific and technological departments. Prof. Erev is the head of two the faculty’s multidisciplinary centers: “The Minerva center for cognitive studies” (in collaboration with The university of Haifa), and the Israel center of research excellence in empirical legal studies (in collaboration with the Hebrew University of Jerusalem. The research conducted in these centers focuses on human reaction to economic incentives, and the value of alternative rule enforcement policies. Technion will be involved in the research part in WP2 as well as in other parts, and will be responsible for developing a multidimensional description model as a core framework understanding and tackling organised crime and terrorist networks. Czech Technical University in Prague, Czech Republic, established in 1707 by Rescript of the Emperor Joseph I, is the oldest technical university in Central Europe. The Faculty of Transportation Sciences is the youngest one. Faculty covers all necessary know-how to challenge new trends in intelligent, sustainable and safe/secure transport for the future. The Department of Security Technologies and Engineering is one of the departments of the Faculty of Transportation Sciences, conducting education and research in the respective domains throughout the whole University. The decision to establish the department with such cross cutting activities just at the Faculty of Transportation Sciences was based on the common character of the Faculty covering system view on large systems and territories. The CVUT will be involved in the research part and in the model development. It will also be involved in developing the digital TAKEDOWN solutions. As a leader of the WP7, the CVUT will be responsible for the validation of the outcomes. 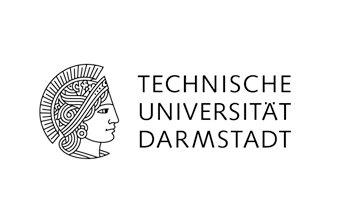 Since its foundation in 1877, the Technische Universität Darmstadt (TUDA) has been an internationally oriented university with a strong technical focus. TUDA has been ranked repeatedly among the top three technical universities in Germany. 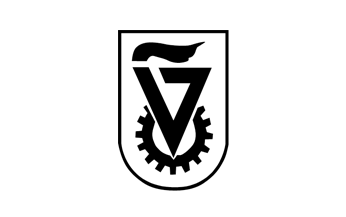 The Telecooperation (TK) Division (head: Prof. Dr. Max Mühlhäuser), under the department of computer science, targets cooperation among humans and machines, based on information & communication technology. Ubiquitous Computing denotes the next era of Telecooperation, where humans are surrounded by zillions of networked computers that support all aspects of our daily life. Research at TK emphasizes cooperation of different kinds of parties: (1) humans, most of them not using a desktop PC, (2) smart services, i.e., distributed context-aware software components and (3) sensor nodes of all kinds, i.e., wearable computers, appliances embedded sensors, etc. The TK Division consists of about 30 researchers, organized into the following ten areas of research: Smart Environments, Model Driven Interaction, Talk and Touch Interaction, Smart Security and Trust, Secure Smart Infrastructures, Peer-to-Peer Networking, Tangible Interaction, Smart Interaction, Ambient Learning Structures, and Smart Urban Networks. TK’s extensive background on smart environments, multimodal user interfaces, distributed systems, critical infrastructure security, and privacy & trust together with the profound expertise from plenty of public or industry funded research projects form a solid basis for coordination and providing substantial contributions. TK is working on cyber security topics namely privacy, security, and computational trust for last 8 years and has more than 70 publications on these topics. The topic of cyber security is also one of the 6 main research pillars of TUDA. In last years, TK has been successful in acquiring and being part with some of the high valued research clusters and projects affiliated with TU Darmstadt. TK has recently acquired and being part of two German Research Foundation (DFG) funded research clusters: i) doctoral college “Privacy and Trust for Mobile Users” and ii) collaborative research centre “CROSSING – Cryptography-Based Security Solutions: Enabling Trust in New and Next Generation Computing Environments”. TK is also participating in the European Centre for Security and Privacy by Design (EC SPRIDE) and a project (PolyEnergyNet) linking smart micro-grids with cyber security, funded by the German Ministry of Education and Research (BMBF). TUDA will focus on improving the management and sharing of threat intelligence within the community of NREN CERTS. This task will be executed in WP5. TUDA will contribute their expertise of computational trust management for the purpose of assessing and visualizing the quality of threat intelligence. 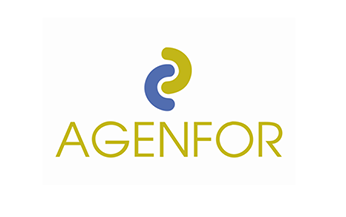 AGENFOR is a non-profit Research Centre registered by the Italian Ministry of University, Scientific Research and Technology since 2000, and specializes in working on humanities and social sciences. The focal point for AGENFOR activities is the field of security and counterterrorism where it conducts specialised researches, manages a number of EU and National Projects and produces news and documentaries for national and international television audiences. AGENFOR has conducted research into policy issues since 1997, with a focus on Muslim minorities in Europe and in the Western Balkans, and non-Muslim minorities in countries with Muslim majorities. AGENFOR concentrates its activities on the examination of relation between ethnicity and national identities, religious and secular governance within State building, National and Federal identities and interrelation between agents and structures in social changes. Moreover, AGENFOR produces news and documentaries for the Italian public television (RAI), Mediaset, BBC, al-Jazeera, RSI, and many other networks. In the research part, AGENFOR will be responsible for the screening of current organized crime and terrorist networks response approaches, initiatives, strategies and policies. It will also be involved in empirical research. As a leader of WP4 it will be responsible for the preparation of the first-line-practitioner-toolkits, including guidelines, materials and infographics, and the creation of aggregated contextual policy recommendations and briefs. The Peace Action, Training and Research Institute of Romania (PATRIR) has more than 14 years of experience working internationally in peacebuilding, early warning, strategic conflict and risk analysis, mediation and peace processes, and addressing radicalization and violent extremism. The Institute works in the fields of research, policy development, training and professional development, and direct operational engagement in early warning, prevention and peacebuilding in areas affected by war and armed conflict. 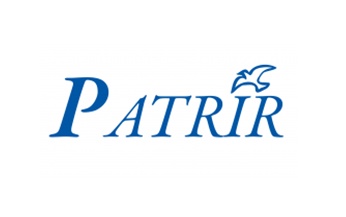 PATRIR is an initiator and member of the global partnership of organizations, think tanks and institutes in the Beyond Violent Extremism platform gathering best practices, lessons identified, tools and methods for addressing radicalization and violent extremism. PATRIR is also a member of the Working Group on Prevention of the Global Partnership for the Prevention of Armed Conflict (GPPAC) and the Global Alliance on Armed Violence Reduction and Prevention (GAAV) – platforms which facilitate exchange and learning of best practices, tools and methodologies; development of handbooks and toolkits; and analysis of drivers, causes and factors contributing to violent extremism, terrorism, armed conflict and armed violence. PATRIR will be involved in the exploration phase. It will also conduct focus groups with practitioner-organisations that are working on OC/TN and with law enforcement agencies in selected partner countries for the empirical research. PATRIR will furthermore be responsible for creating a library of good and bad practices regarding public and professional solutions and services in the field of OC/TN response. 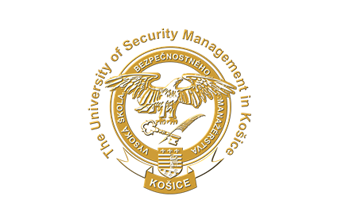 The University of Security Management in Košice (Vysoká škola bezpečnostného manažérstva v Košiciach) – hereinafter “VSBM KE”, was established in 2006, but its foundations and focus of the study were laid in 2001. It was connected with establishment of the detached office of the Faculty of Special Engineering, the University of Žilina in Košice. Educational and scientific potential which was created during the development of the security management on Faculty of Special Engineering and its detached office in Košice significantly helped to develop a formed VSBM KE oriented to crime prevention in all areas such as: the management of security systems, the economic security, the security of information and communication technologies, the safety in transport and transport infrastructure and the environmental security. The VSBM KE has involved in scientific and research activity of basic and applied research since 2006 and considers research and development activities for its primary and permanent role. The VSBM will be involved in the desk research as well as in the empirical research. It will furthermore contribute to the toolkits development and the conceptualization of the TAKEDOWN non-digital solutions. A further important task is their contribution to the validation cycles and to the organization of the TAKEDOWN summit for LEAs and solution providers. 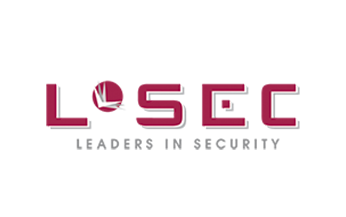 LSEC (Leaders In Security) is a European not-for-profit association focused on Information Security, operating from Belgium. The association is based upon the corporate membership of more than 6.500 individual members, representing over 2.500 end user organisations from a variety of vertical sectors (finance, transport, ict, retail, government, etc. ) and centered around more than 165 Core Members. LSEC has a long standing expertise in Cyber Security and mitigating cybercrime since its foundation in 2002. Due to the fact that the association has been focused on securing electronic transactions since its inception. Over the past 10 years, LSEC has been organizing various activities identifying cyber security challenges and related risks for businesses and organizations, and for professional education going from topics such as vulnerability assessments, industrial control systems and logical controllers and their specific challenges and related to security, legacy SIEM, it security risk management methodologies and models. Specific activities included seminars and publications on Forensics, Cyber Crime, Risk Management, IT Security Management, ISO 27000, CISP/CISM and pen testing training sessions. LSEC will participate in the desk research as well as in the empirical research. Furthermore, it will be responsible for organizing the European TAKEDOWN OC/TN Symposium as a major dissemination activity. 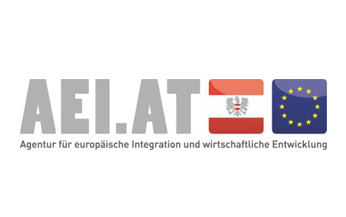 The AEI – Agency for European Integration and Economic Development is an essential, inter-ministerial but independent, non-for-profit platform for Austrian and international funding projects. 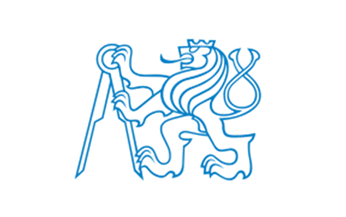 The AEI was founded in 2003 by the Federal Ministry of Finance in Austria and serves its regular members like the ministries BMF, MoI, BMASK, BMWFW and BMG, exclusively for dynamic project handling of societal and governmental relevant issues. AEI is a fully mandated body and supports its members and partner organizations in all phases of a project lifecycle: from the development of innovative and practice relevant project ideas over the constitution of a consortium, the proposal set up and submission to full operational handling. The contents of the AEI employs with the promotion of international experience and professional development in the core areas of the Agency: high quality project work on practice oriented requirements analyses; user-centered transfer of theories to broad, sustainable use; training of stakeholders; process implementation and distribution of project results and findings in the fields of economic development, finance and taxation, sociological studies, transport, security and police cooperation, risk management etc. The AEI will be involved in the development of policy recommendations and policy briefs. It will also be involved in dissemination activities such as the provision of a final exploitation plan and the organization of the European TAKEDOWN OC/TN Symposium. The city of Valencia has a metropolitan area which reaches over 1.500.000 inhabitants. It is, in terms of population, the 3rd largest city in Spain. More than 1600 police officers form the Valencia Local Police. 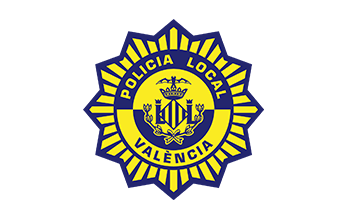 The duties of the Valencia Local Police (PLV) are wide, ranging from surveillance and road traffic control, to maintaining citizen security and safety, administrative police, community police, domestic violence, mediation police, fight against crime, management of emergencies, environmental police, etc. Overall it is one of the most active local police in Spain due to their continuous innovation in technology. Its Centre of Security and Emergencies is the best example of innovation in police management by using ICTs tools, as well as a great test bed for pilot experiences and testings. PLV has managed (as leader or partner) 18 successful European projects form different Programmes (7th FP of R+D in Security, Lifelong Learning Programme, Prevention and Fight against Crime, Daphne III, Civil Protection Financial Instrument, Criminal Justice, etc). The PLV will be very much involved in the desk research as well as in the empirical research and will furthermore contribute significantly to the validation and the dissemination of the project. 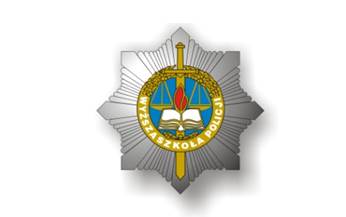 The Police Academy in Szczytno employs over 200 police officers (mainly as academic teachers and researchers) and over 400 civilian employees (mainly as administration and support/coordination staff). The WSPOL will be involved in the desk research as well as in the empirical research by conducting focus groups with LEAs and will furthermore contribute significantly to the validation and the dissemination of the project. 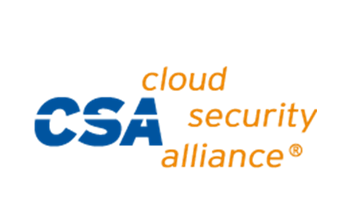 The Cloud Security Alliance (CSA) is a not-for-profit, global organisation with a mission to promote the use of best practices for providing security assurance within cloud computing, and to provide education on the uses of cloud computing to help secure all other forms of computing. The Cloud Security Alliance is led by a broad coalition of industry practitioners, corporations, associations and other key stakeholders. CSA EMEA has 6 employees, as part of CSA Global, which has 70000+ individual members, 250+ corporate members and 65 chapters worldwide. In the course of 5 years, CSA has released 20 cloud security research project reports, a security certification framework for cloud providers (OCF), an online transparency registry (STAR), a user certification related to the security knowledge of cloud computing (CCSK), advised and supported several Governments world wide in the definition and implementation of their national /regional cloud strategies (this include support to the implementation of the EC Cloud Strategy). The CSA will be involved in mapping the OC/TN technological ecosystem. It will also be involved in the empirical research by conducting workshops with solution providers and will furthermore contribute significantly to the validation and the dissemination of the project.